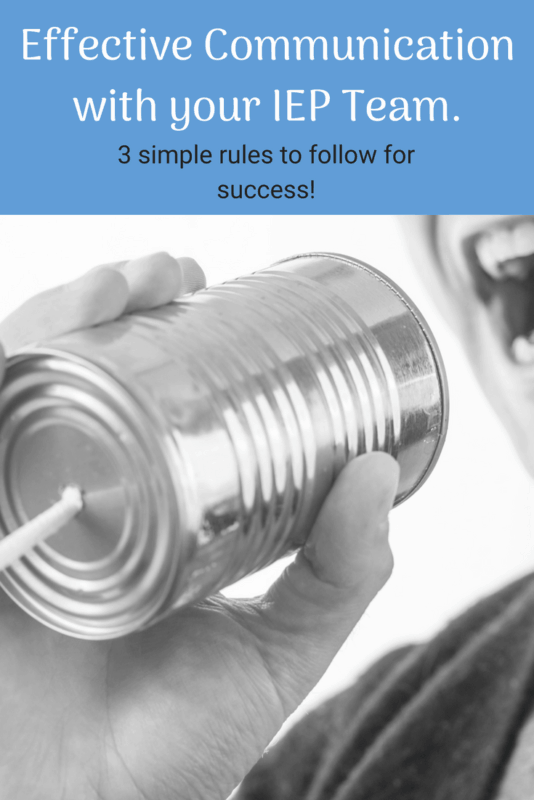 Home » IEP Advice for Parents » 3 Rules for Effective Communication with your IEP Team. How to effectively communicate with your IEP team. There is so much to say about communication in the IEP process, I could ramble all day. But instead of that, I thought that I would focus on the five (six?) Ws-who, what, when, where, why and how. I thought it would be easiest to bullet point the important parts of IEP and Special Education communication sticking to that framework. 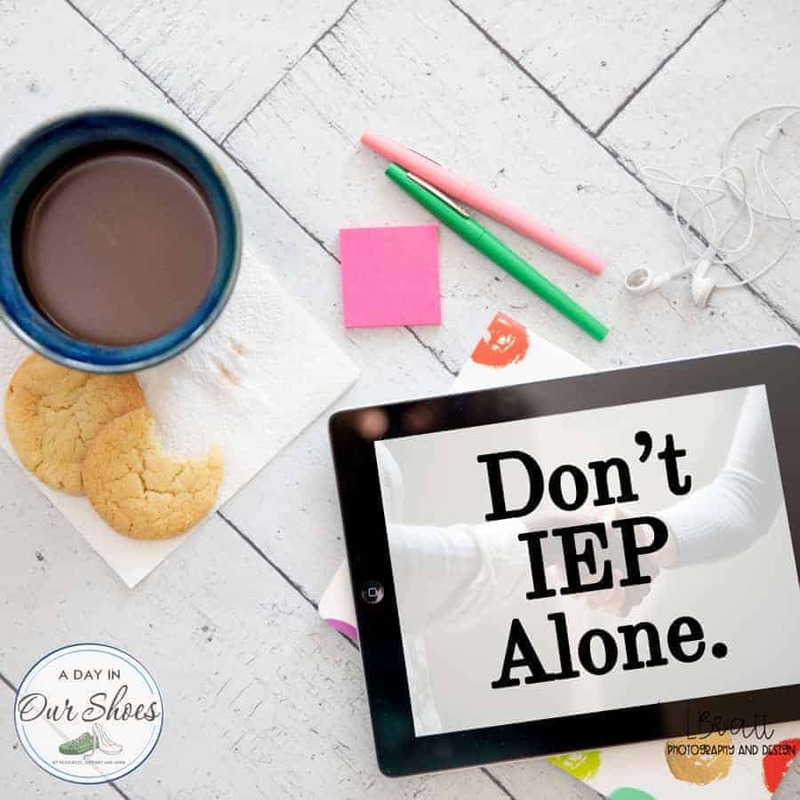 Here are 3 main things to remember when doing any type of IEP communication. If you stick to these, trust me, you’ll be much better off in the long run. And this is a marathon, not a sprint. Stay focused on the child. When starting a new school or placement, I personally would ask who they want me to communicate with. Does your child have a team leader or case manager, and does all the communication go through them? Or, should you contact the various teachers and therapists individually? I would not ask to change the communication system without trying theirs first. In other words, if they ask you to only contact the case manager, do that. Now, if the case manager does not pass your messages along, then ask about changing it. Do not discuss your child’s education or IEP with people outside of the IEP team. Do not engage in gossip and hearsay in regards to your child’s IEP or special education. I would only go above your child’s teachers’ heads (principal, special ed director) to report issues if you have been instructed to do so. Or if you are not getting a timely response to your inquiries. In other words, work your way up the ladder. Don’t go right for the School Board President with your first complaint. Give the team a chance to get it right. I never recommend that parents contact the media with their IEP concerns. It may backfire and the public may not respond the way you had hoped. If you are a part of a divorced/blended family, make sure it is clear to the team (and documented!) who has authority to make educational decisions and who should and should not be informed of things. Consult your family attorney about this, as it is not something for the IEP team to decide. Keep the discussion on the IEP and the IEP process–evaluations, progress, strategies, etc. For important concerns, use the IEP process. Request evaluations formally in writing. Submit written parent concerns prior to the IEP meeting and mark them as such. Use your NOREP/PWN to move the process along. I personally recommend that parents do not hide information from the team-such as diagnoses, medications or unusual behaviors. Communicate as often as you need to, without pushing the limits of stalking. View things from their point of view before you communicate something. Ask yourself, do they really need to know this? Is this knowledge essential for the IEP process? I highly recommend you purchase the IEP organizer–it helps you better monitor your child’s IEP year and submit timely communication. No surprises! Don’t surprise the team with big requests like a 1:1 or a placement change at the IEP meeting. That should be submitted in writing as part of Parent Concerns, before the IEP meeting. If it is appropriate for your child and you have the data, there should be no reason to surprise people with a request. It doesn’t increase your chances of getting a yes. Stay professional and respect boundaries. Use designated meetings or office hours. If you run into them at the local pizzeria, that is not the time. Exchange pleasantries and keep the school stuff for school. Email or a designated home-school communication log are appropriate. Social Media is not appropriate. Communicate with your team whenever your child needs a change-placement, strategies, accommodations, etc. Communicate to your team at least once or twice a year to thank them. They work hard and there are many more good eggs than bad. They do truly care about your child. I thank my team at the December holidays and in May for Teacher Appreciation Week. You can communicate with your child’s team and have meetings besides your annual, evaluations besides your 2 or 3-year evals if your child needs attention sooner. You can do “no-meet” IEP changes if you are comfortable meeting with just a select group of team members and they will make the changes and communicate it to the rest of the team. I can’t say it enough. GET IT IN WRITING. Everything needs to be in writing. All requests for evaluations or more strategies or to hold a meeting–get it in writing. Follow up your in-person and phone conversations with an email. “Dear so and so, I just want to make sure that we are on the same page with what we discussed today about my child. We decided….” and list it. If you submit an email reiterating a phone conversation or an in-person conversation, and the person does not dispute it, it stands as truth. This is important should you find yourself in Due Process! Again, another plug for the IEP organizer to help you manage your many thoughts and communication during the IEP process. Did I mention that everything needs to be in writing?